Will do. Need to clean up basement after the flood. 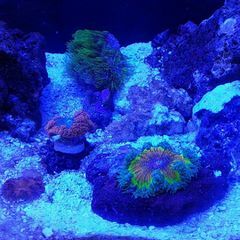 Return some equipment to Home Depot and then I’ll have few hrs to shop corals and snap few pics. Custom (with my name) Sure Audio Bluetooth 4.0 Amp board and auto battery supply/charger. Play time: approximately 24hrs at moderate volume. Aux IN, volume control, 12V power supply, battery supply by 3X 3.7V batteries, Mark Audio Full Range drivers. Thanks. Don’t have any playlists on my phone since moving everything to cloud. I’m more of a vinyl kinda of a guy anyway. I’m not a patient man. I would probably electrocute myself. Damn this is pretty damn awesome build.. love the flow solution too!!! Definitely not "old school cool"... 🤙thank god for that.. dunno how I missed this but I will be following along now.. oh and the videos are definitely appreciated. Keep them coming. That's really cool. Is that a fail safe for ato? Either way good thinking if something were to go wrong. Without it, I would’ve had to purchase another Apex DOS doser. 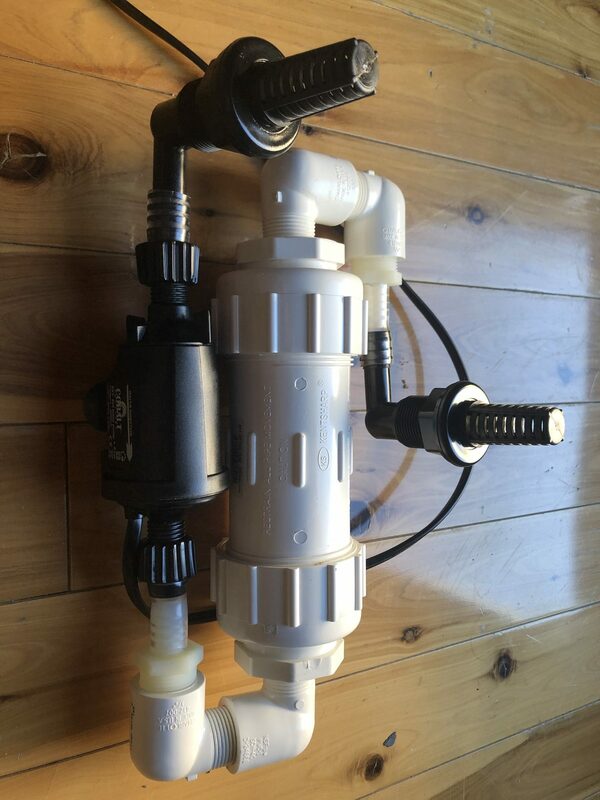 Not an option at the moment but I do have a spare pump on one of my DOS dosers. So, that spare pump will pump fresh salt water from SW storage into this tank (+-1gal per day). And instead of using another DOS pump to take exactly the same water volume out, it will simply drain into this overflow and out of the house via dedicated drain. Drilled holes are more than enough to take care of the slow inflow via Apex DOS, but top of the overflow is 1/8” lower the top edge of the tank just in case of blockage or other unexpected event that might blocked those inflow holes. Thank you and no worries, this tank isn’t competing in “2.5 old school” thingy. So, that spare pump will pump fresh salt water from SW storage into this tank (+-1gal per day). And instead of using another DOS pump to take exactly the same of water volume out, it will simply drain into this overflow and out of the house via dedicated drain. Oh nice. Very creative sir. I wish I was creative lol. Just trying to be efficient. Remember the macro algae reactor that was planned for this build? It is not going to happen. My 30gallon nano demand for nutrients export seems to escalated to the point beyond my present filtration capability. So, algae reactor will go on 30gal long tank to help out with that little issue. Therefore, I need to redesign filtration for this tank. In short, it will be super simple. Hopefully, it will be enough to keep it going. Yea I caught the no competing part. seems like there is too many unnessary rules for me.. who wants a janky tank anyways 🤔? Yeah, that 30gal tank is priority at the moment. This 2.5gal is just a side thingy. Don't need to make it an unnecessary distraction. I don’t see why it wouldn’t work. If basic parameters are kept stable, it should be no issue. How stable anyone can keep tank this small is another topic entirely. Seems like fun project for a lot of ppl so I’m not knocking. Just not my thing that’s all. Ah, a tube guy huh? Here's my daily driver- 6n2p/6CW5 with toroidal power transformers as outputs, ~20-25 watts output (I forget exactly how much, but it doesn't really matter) and clean. That’s a push/pull with super sweet tubes. 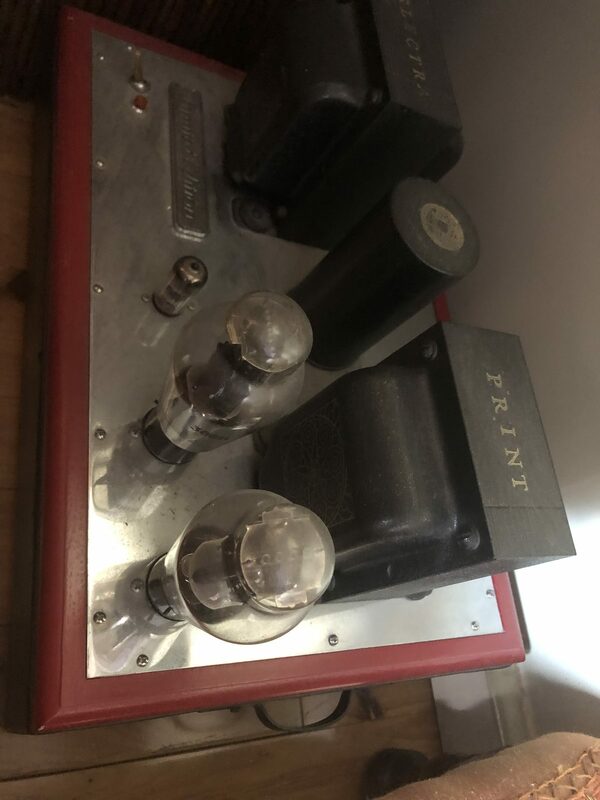 What is the signal output tube? my fav is 6922. And I drive my full range drivers with single ended 300b monos. 6n2p, it's pretty much a 6 volt russian 12AX7 of sorts, but sounds like a 6SL7 🙂 Cheap too. It has been years since Ive build anything but I am still familiar with most tube characteristics. 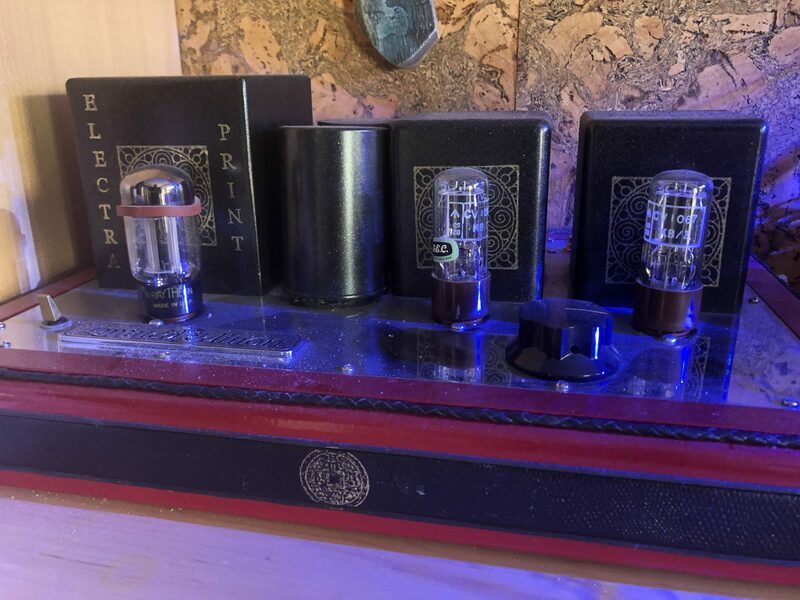 I think I have a preamp with 6SL7 tubes in it. Last preamp I’ve tried to build was Dodd Audio battery powered preamp. Russians tubes are way better then almost anything coming out of China. Have a bunch of various NOS tubes from way back. Not sure what they’re worth now. It has been a while since I bought anything tube related. I have build few speakers and turntable as well. But that was also a while back. $330 is not bad in comparison to what originals cost. Might be worth trying them out. I was mostly into SD horn designs. Not familiar with Karlsonator design..... or perhaps it has been too long and forgot all about it. Dry fit. Missing external heater module. What is it? External heater/bio-filter/close loop flow generator.